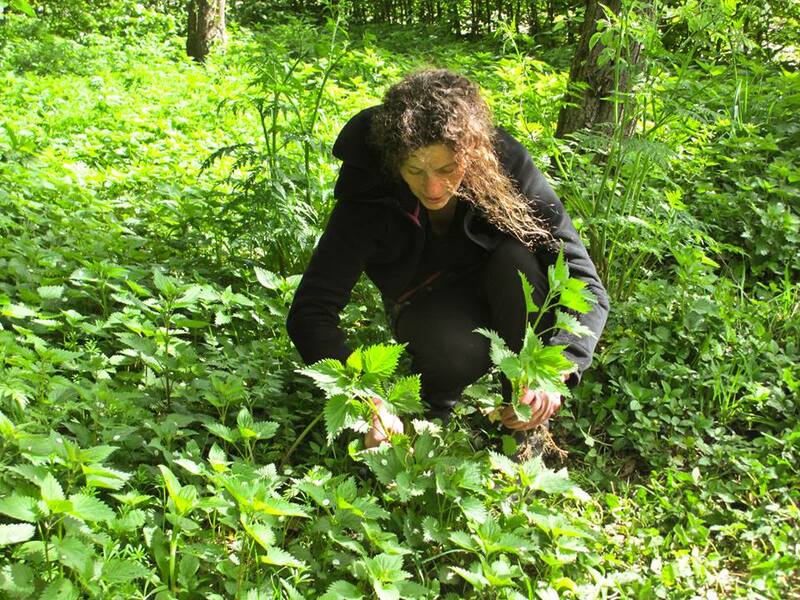 Huge thanks to all the lovely people who joined me for herb walks in Park Frankendael recently. It was a pleasure to meet you all, to see new faces, familiar faces and to hear your stories and questions. Here a few links and photos which the walks brought to my mind. If you have questions which are unaswered here please let me know. 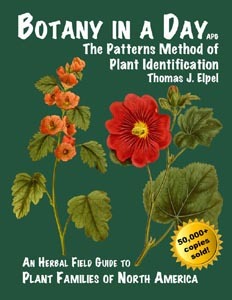 This is a wonderfully clear and fast track way to learn how to identify a vast number of plants. It works by teaching you the plant family patterns. Make the effort to start the book at the beginning (rather than dipping in and out as I usually do) as it walks you through the most common plant families in the first few pages. Learn those really well and you will be a whizz at plant ID in no time at all! They also produce some other great titles. An UH blog post from a few years ago. You will see instructions on how to make that Provencal Rose coloured infusion which I mentioned today, at the end of that link. Please note the time of the Midsummer gathering this year is 2pm (14.00). A friendly, open group of urban-nature-spirit loving types who gather on the main natural festival dates to celebrate the wheel of the year, also many full moons and other related occasions. We meet in Amsterdam or Diemen. 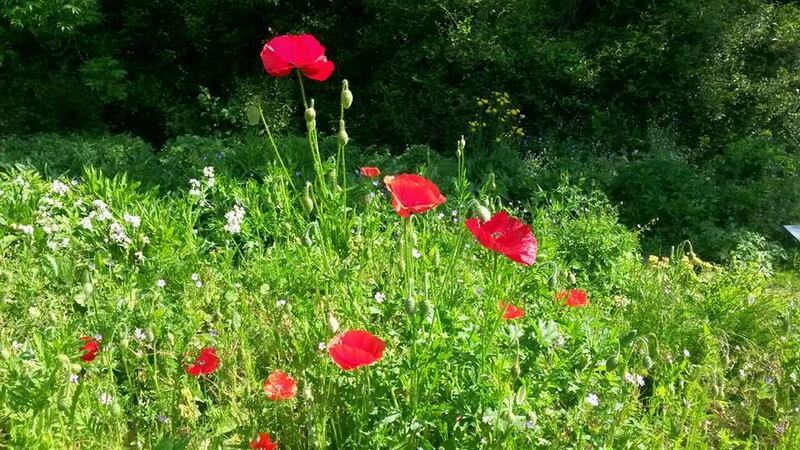 Our next meeting is on Midsummer’s Day (Saturday June 21st 2014) – 2pm, Park Frankendael. This will be a family friendly gathering to celebrate the longest day together, share a few old solstice customs and eat our fill from the plants, whilst many are at the peak of their energy. Lime (Tilia not the citrus) leaves, Lime flowers, Mugwort, Elderflower champagne and other interesting things will be on the menu. As will some time and simple activities to help us reflect on what Midsummer means to us as part of nature. It is free to join but please do bring along a cup/beaker and a snack (maybe some bread to make Lime leaf sandwiches) if at all possible. The link above is to our Facebook group. There is no website. Here’s a nice summary of what was found this time last year on one of my late May walks. You will see that most of the plants are a few weeks behind where they are this year. Notice especially the wild garlic which was in full bloom. Today we had a nibble on some immature seeds and some seeds were even ripe! The weather here is never average..
A beautiful plant. We saw it today and talked about it’s potential for treating Lyme’s disease, collecting fresh water from the leaf joints and “teasing out” wool by using the seed heads as combs. Here’s a link on how to make a simple tincture. 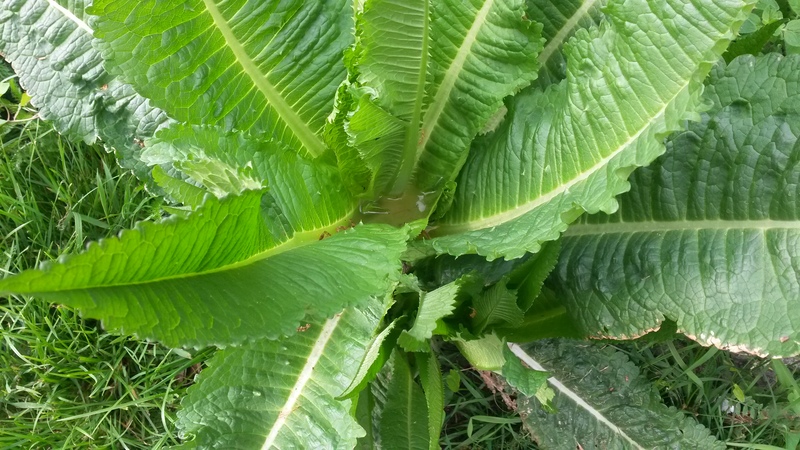 It seems that first year Teasel root is what shows promise for Lyme’s disease. 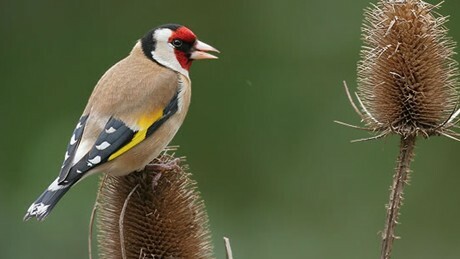 In the UK, I wouldn’t dream of pulling up a Teasel root to make a tincture as Gold finches use the seeds as a primary food source. I’m not sure what the situation is here and have not tried it. Interesting to be aware of though, especially if Teasel grows on your land. Click on the image for a link to the RSPB, regarding Goldfinches in urban areas (of the UK). These are the rules I wrote and follow. They are written from a mixture of common sense, country foraging experience and urban awareness. They can always be improved. What additions can you suggest? Know the plant, the area, poisonous look-a-likes, local endangered species and laws. Learn all can and always be 100% certain of the plants you harvest. If in doubt, don’t pick. Overharvesting leads to rarity and extinction. Take only a little from each plant and leave plenty. Don’t harvest wild roots as this destroys the plants and roots generally harbour more toxins than other parts. Forage in clean areas as many plants accumulate heavy metals and toxins. Bug free environments, manicured areas, pavement cracks, power lines, busy roadsides and railways are often heavily polluted sites. Leave no trace and improve the area. Clean your harvest well and pick above dog height when possible! Test anything that is new to you in very small quantities, before consuming as part of a meal or tea and watch out for any signs that your body reacts badly to the plant. The orchards that I took the walkers to this spring, are being cared for and slowly transformed by the project which I set up in 2012 called River of Herbs. It is all about People, Plants and Pollinators. It provides free training and support for people who want to learn how to grow useful herbs in small or large urban spaces. Please come and join us sometime, we love plants and we love helpers. 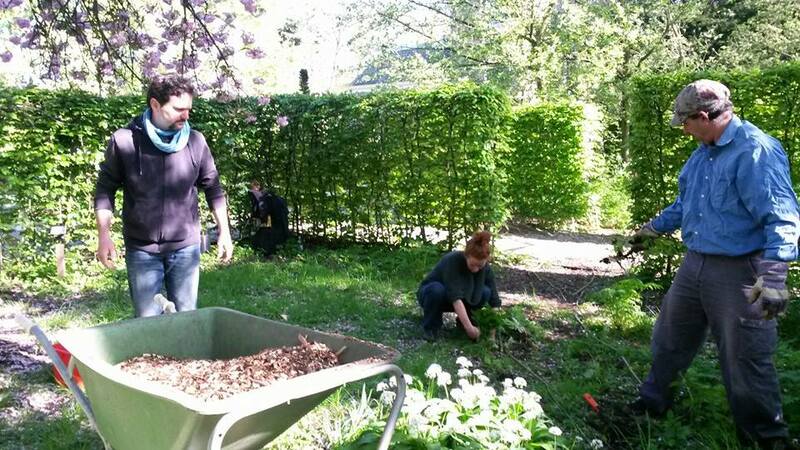 At the orchards (most Wednesdays, 9.30 – 11.30) we make herb tea at the site and feed you chocolate laden biscuits whilst you work on simple tasks such as seeding, weed pulling and pruning the fruit trees. It can’t be bad! Thanks again for all your interest and enthusiasm. I hope to see you again soon.